Greenspace environment provides a lovely setting for this fully-furnished office accommodation in a purpose-built serviced centre, looking out to landscaped surroundings and enjoying onsite free parking and small to ample office sizes. Executive style leather and rosewood fittings and furnishings for a classy ambience. Top-spec IT systems based on Cat.6 cabling. Close to M42, Birmingham International Airport and New Street rail station. Business centre in Birmingham area offering well-priced, fully furnished and air-conditioned offices with availability of conferencing and communications facilities for maximum professional quality. Convenient location 1 mile from Marston Green and even closer to M6 with access to local amenities including shops, banks, restaurants. Proximity to Birmingham Airport. 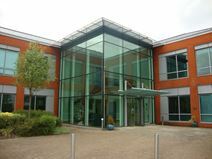 Close to the NEC this fully refurbished two-storey building has a prime location and provides light and spacious office space, many with views of lakes and landscaped grounds. Hi-spec office spaces available in an impressively designed Business Park building in close proximity to Birmingham's NEC. Enjoy superb contemporary spaces furnished in bright modern style, looking over a beautiful park and lake, alongside other prestigious companies occupying the centre. Accessible 24-hours a day, the centre offers meeting rooms, conference facilities, showers, reception services and IT support, amongst other facilities. 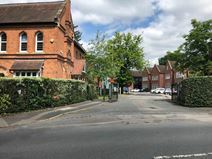 Spacious contemporary office accommodation set in delightful purpose-built brick building looking out to panoramic park views and enjoying abundant natural light. Fully furnished in appealing modern style and offering top quality IT possibilities from Cat.6 cabling. A short distance from Birmingham's famous NEC and well-situated for travel links with rail stations at walking distance and entrance to the M6 (J4) and M42 (J6) 2 miles away.